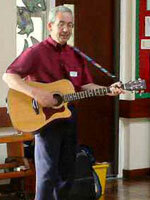 Bernard Young – Guitar Playing Poet! The guitar playing poet and songsmith Bernard Young didn’t always want to be a writer once he learned to play guitar Bernard wanted to be a pop star! Bernard’s most treasured possession is his Fender Malibu Acoustic Guitar (and his Fender Stratocaster, and his Tanglewood Acoustic and new ukulele). I get the impression Bernard would win Britain’s Got Talent if he entered! Well he must be music crazy because when I asked him what his favourite word was, he replied with the name of a very successful Liverpool based band – the Beatles! Then when I asked him whom would he like to meet – his choice (Paul McCartney) added to my verdict that Bernard Young is probably the lyricist behind the Beatles! Was there a specific moment in your life when you decided to become a writer? I just wrote because I wanted to and started to earn money at it. 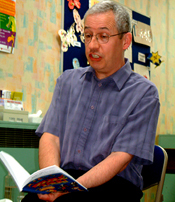 About 11 years ago I stopped being a librarian and became a ‘professional’ poet. I’ve been full-time (earning a living as a poet, that is) for over 10 years but I’ve written since my teenage years. You can write poetry anywhere but usually I work on poems in my study. But the ideas can come wherever you are. Where do you get your greatest ideas from? Things I see or hear. I saw this tree recently and it has inspired me as it looks so mysterious. 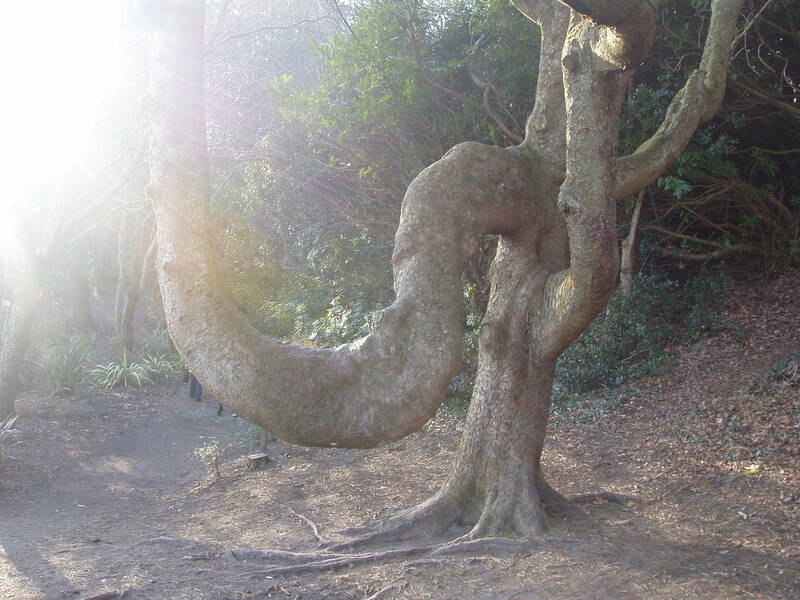 Mysterious Tree - what does it inspire you to write? He doesn't look B.A.D to me! At this point, I am afraid I had an image of Bernard with his guitar running away from a plate of liver, bacon and onions in delicious gravy with yummy mashed potatoes – which were screaming, “You know you want to eat me Bernard!” I can’t imagine anyone not liking liver and bacon, as it is one of my favourite meals! Sorry Bernard I was off thinking about food sorry, now do you have any tips for young writers? What favourite book would you recommend to others? 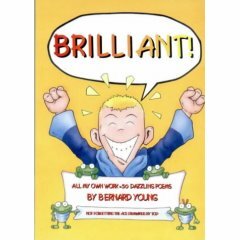 Or you could try one of Bernard Young’s poetry collections! Brilliant poems! From a Brilliant Poet! Just one of the Harry Potter books (because I’d now be a millionaire) or anything by Roger McGough. It’s all good. (Apart from when an editor doesn’t include you in a book). Bernard’s workshops are a lot of fun! And you don’t have to pay extra for the guitar playing! A guitar playing poet, sounds interesting! !